CDK Global Inc., formerly ADP Dealer Services, went public Tuesday as part of being spun off by parent Automatic Data Processing Inc., CDK Global announced today. Along with Reynolds and Reynolds, CDK is the dominant provider of dealer operating software, known as dealer management systems (DMS), in the country. It also is a leading provider of digital marketing services through its Cobalt unit. Steve Anenen, 61, who headed ADP Dealer Services, is president and CEO of CDK. The company is traded on the Nasdaq exchange under the symbol CDK. 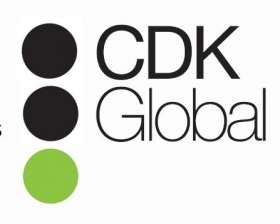 CDK is on pace to post revenue of about $2 billion this year, the company reported. It operates in 100 countries, serving about 26,000 retail locations, including auto dealerships, motorcycle dealerships and others. CDK also said it intends to hire 80 Internet technology professionals at its headquarters in the Chicago area as part of a plan to hire 400 people in the United States and internationally. As part of the spinoff, ADP shareholders received one share of CDK stock for every three shares of ADP stock they held on Sept. 24. About 160.6 million shares of CDK stock were distributed to those shareholders on Tuesday, the company said. CDK shares closed today at $31, up 41 cents.